Looking for a cool authentic rugby ball? This original is from the one that started it all - the 2014 ACRC Bowl Series. 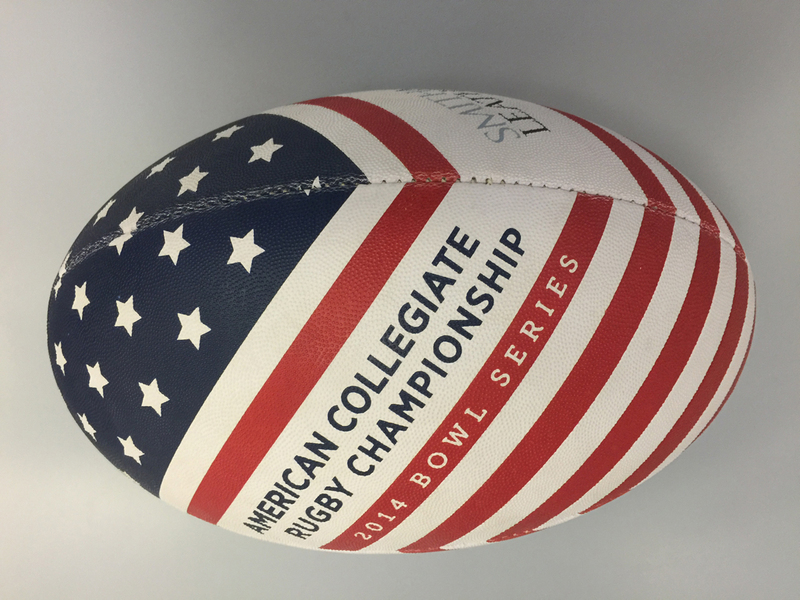 The highly successful inaugural URugby American Collegiate Rugby Championship Bowl Series held on November 21st and 22nd, 2014 at the Rugby Athletic Center in Charlotte, North Carolina was home to this great ball and a great event.